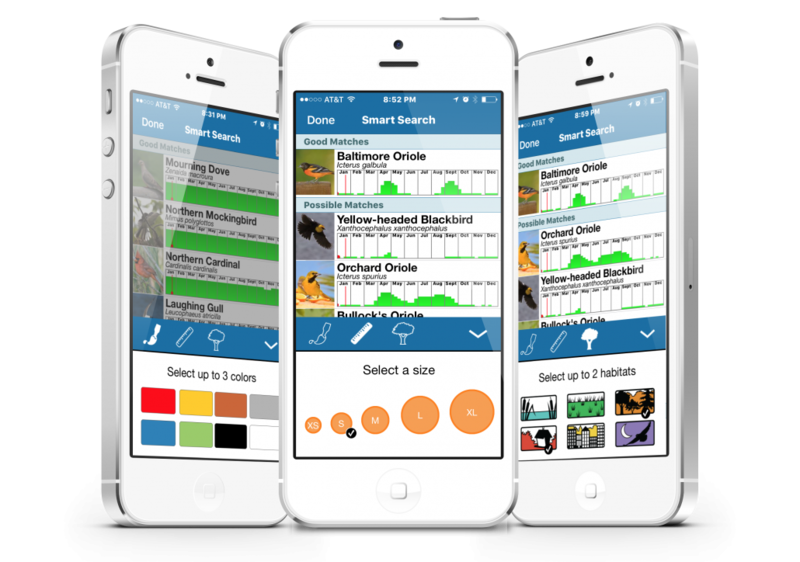 Whether you’re looking for dragonflies or birds, BirdsEye Nature Apps are the best apps to learn what’s being seen nearby. BirdsEye and Dragonfly ID are also great in helping you identify what you are actually seeing. Not only do they help you narrow down the possibilities by what other have reported, each app comes with Smart Search. 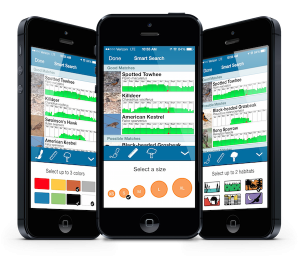 Smart Search is a collection of intelligent filters that allow you to choose color, size, and habitat to narrow down the possible species. As soon as you start entering information about what you are seeing the list changes and sorts the species by how good of a match you have chosen. So, if you haven’t had a chance to give Smart Search a try we think you’ll really like it. It’s especially helpful when you’re away from your home turf, or when you are just starting out as a budding birder or dragonflyer. 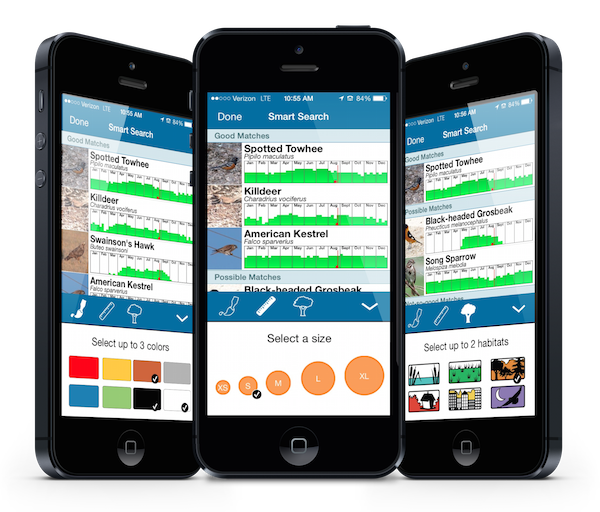 Smart Search is included in both BirdsEye (Android and iOS) and Dragonfly ID. You can access Smart Search from the main menu, or under Nearby Birds or when searching a specific location (iOS only). Just look for the icon that looks like a magnifying glass with a ‘plus’ sign.